Five arts organisations, including the Belfast-based theatre companies Bruiser and Terra Nova Productions, are under threat after losing their annual funding in newly announced allocations by the Arts Council of Northern Ireland. Terra Nova said the company’s future would have to be “carefully considered” following the news that its Arts Council funding had been withdrawn entirely. A total of 58 organisations, more than half of the entire portfolio, will see cuts averaging 5% in the new allocation. News of overall funding of £12.8 million was met with relief in some quarters following earlier predictions of a 4% reduction, but the number of annually funded organisations will fall to 97 from 102 in 2019-20. The new budget for 2019-20 represents a drop from £13.1 million in 2018-19. Despite revenue funding from the Arts Council’s parent body, the Department for Communities, remaining at a standstill amount of £8.47 million, dwindling sales of National Lottery tickets means funding from this source has fallen by 4.5% to £4.33 million. The Arts Council said the shortfall obliged it to make “difficult strategic funding decisions”. Those known to be left without Arts Council funding include Bruiser and Terra Nova, Voluntary Arts Ireland and Belfast charity PLACE (Planning Landscape Architecture Community Environment). 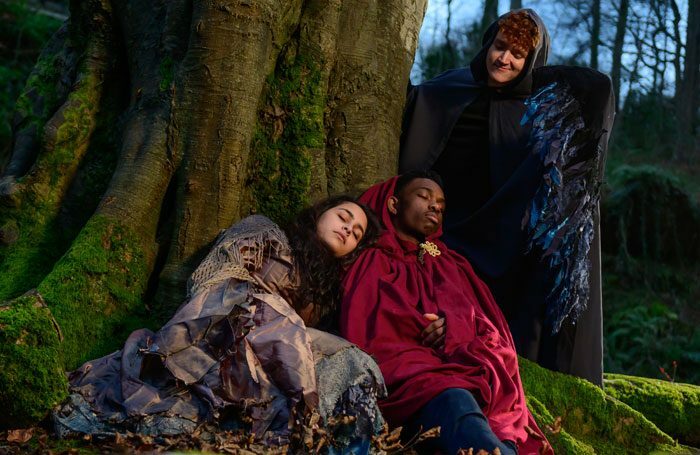 In a statement, Terra Nova Productions, which will open a community-based production of A Midsummer Night’s Dream in May and describes itself as “Northern Ireland’s only intercultural theatre company”, said it was disappointed at the funding cut. The company received £19,890 last year. Bruiser Theatre Company saw its funding withdrawn altogether, following an 85% cut in 2018-19. It was not available for comment when contacted by The Stage. Cuts averaging 5% have been revealed for 58 funded organisations, with a further 34 receiving standstill budgets. These include Belfast’s Lyric Theatre and Grand Opera House and theatre companies Prime Cut, Replay and Kabosh. Five recipients have been awarded “strategic uplifts”, among them the dance companies Maiden Voyage and DU Dance, both of which are relocating to Belfast’s Crescent Arts Centre in its developing role as a hub for dance activity in Northern Ireland. Last year’s funding announcement saw an overall drop of 4.7%, despite including £600,000 of emergency funding for organisations including the Ulster Orchestra and Belfast’s MAC.